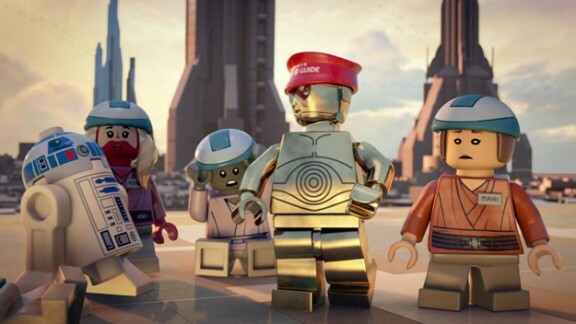 This weekend, Cartoon Network is airing their new Lego special, Lego Star Wars: The Padawan Menace. Here is a portion of the press release. A routine Jedi Academy field trip is turned into a rip-roaring comic adventure in LEGO Star WarsTM: The Padawan MenaceTM. Tour guide Master Yoda leads a group of rambunctious Jedi younglings through Senate chambers when he senses a disturbance in the Force. Summoned to help save the Republic, he discovers that one of the younglings secretly boarded his ship…and has a taste for adventure! Meanwhile, C-3PO and R2-D2 are put in charge of the boisterous group and find themselves in over their heads. As the evil Sith prepare to wreak havoc, it’s up to Yoda and the droids to ensure that their young charges aren’t torn to bricks! This entry was posted on July 19, 2011 at 2:08 pm and is filed under Lego, Movies, Star Wars. You can follow any responses to this entry through the RSS 2.0 feed. You can leave a response, or trackback from your own site.